Healthcare in America presents a set of rapidly evolving challenges for all involved stakeholders. The implications of the Affordable Care Act can be confusing and overwhelming. Rotunda, LLC brings a decade of healthcare experience to the table across nearly every major setting of care. 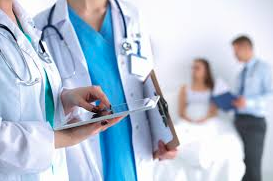 We have been involved with the implementation of the Affordable Care Act across the public and private sectors in hospitals, health insurance organizations, advocacy groups, the state legislature, and physician groups. We have prepared comments for submission to the Federal Register on Medicare P4P and public reporting programs that resulted in their incorporation into final regulations pertaining to Inpatient and Outpatient Prospective Payment System (IPPS and OPPS), Shared Savings, and Accountable Care Organization programs. We have prepared executive briefing documents for White House advocacy visits for patient-centered outcomes measures. We have designed and administered a survey and market analysis dashboard that assessed standard practices in student healthcare delivery mental health systems, resulting in the development of a strategic plan. We have presented data-driven recommendations, resulting in the implementation of the recommended changes to the intake triage process, patient scheduling protocol, and provider output targets. We have provided technical assistance in the development of a Health Information Exchange Policy Board and have coordinated collaborative campaigns across multiple stakeholder groups. Invite Rotunda, LLC to join you in your efforts to improve the delivery of value in your healthcare organization.